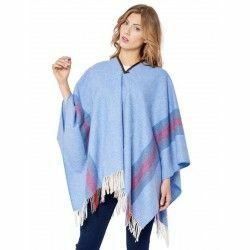 The whole array of wool blankets, ponchos and scarves included in our catalogue has been manufactured with a very special raw material: high quality fine wool obtained from the merino breed. This extra soft wool with an extraordinary touch has been carefully selected for these garments. Furthermore, our company applies a detailed quality control system to the whole manufacturing process. 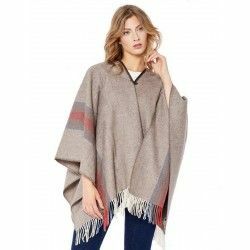 All the different stages of the process take place in our facilities: our wool blankets, scarves and ponchos factory in Grazalema, in the province of Cadix, in southern Spain. 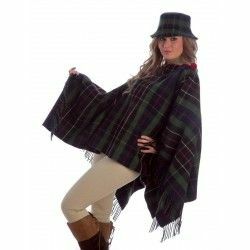 Wool scarves are stylish and comfortable garments used in autumn and winter both by men and women. 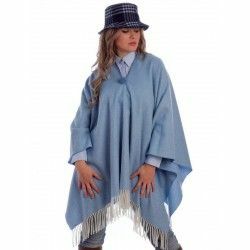 They match with all sorts of coats and jackets and are essential to create different outfits with your wardrobe essentials. 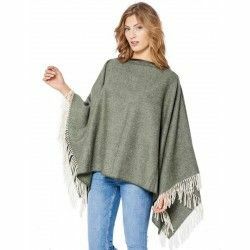 Thanks to the great variety of patterns and colours they offer, scarves will easily help you transform your look: they can emphasize a coat, a jacket or a dress, or help soothe a daring look. Scarves are a star accessory; they bring colour to your outfit and enhance your style to highlight your personality. 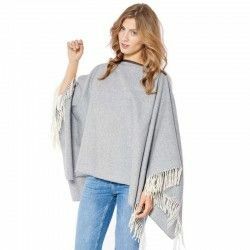 Wool ponchos are undoubtedly on rise this winter. 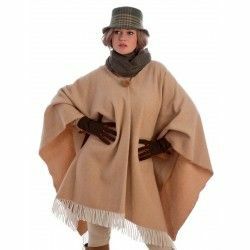 We all love opening our wardrobes and finding a vast array of wool garments and coats to fit our mood. 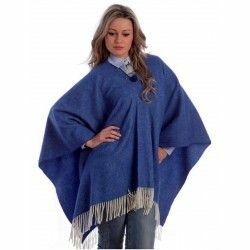 More and more people enjoy wearing ponchos nowadays, particularly young women. Wool blankets remain the fundamental pillar of our company. 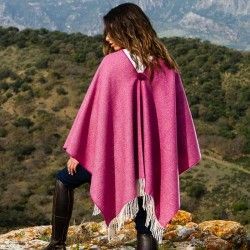 Coming from on a long tradition, wool blankets have evolved and adapted to new uses: from the traditional bed blankets to travel blankets, plaid blankets for coaches, baby blankets, cot blankets, stirrup blankets, picnic blankets or yoga blankets. 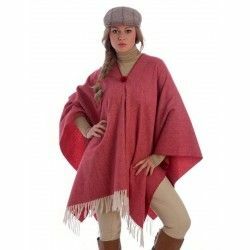 In our efforts to increase our offer of products and wool accessories women, we have recently included new items in our catalogue, such as wool ties, hand-made bags, ballerinas shoes, round cap hats and flat caps. 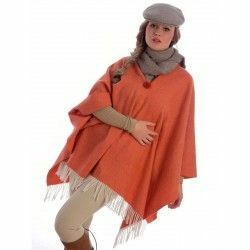 Ponchos for women, design: Star, made in the old factory in Grazalema, Spain. 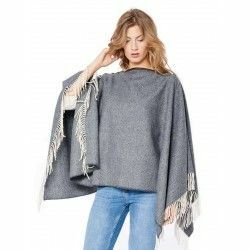 High quality lambswool poncho. Composition: 100% Lambswool extra fine.